When the postman delivered the book of Józef Czapski's lectures on Proust, I was slightly disappointed that it was such a slim volume, especially as 82 pages of actual text and a 25-page introduction cost me £10. Compared to the lack of moderation that Czapski says characterised Proust's commitment to his novel once he had abandoned his social and sentimental life, which had been marked by the same lack of moderation, the modesty here is extreme. 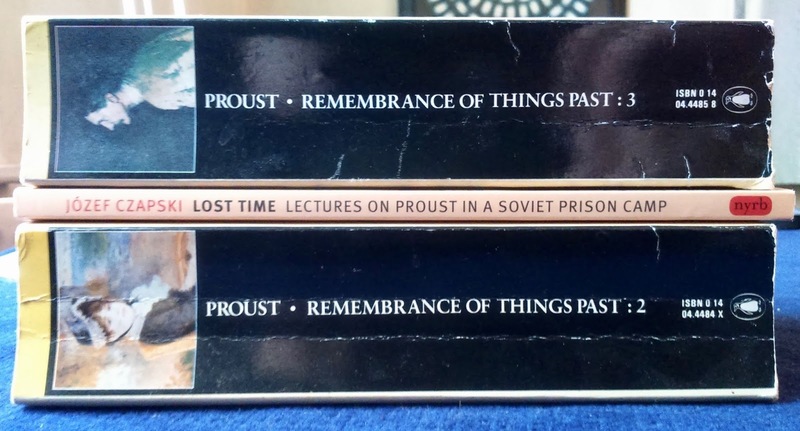 However, given that the lectures were drawn solely from Czapski's memory of Proust's novel and personal experience of its Parisian milieu and delivered to fellow inmates in a Soviet labour camp, this is more than forgiveable. The mere occurrence of the lectures displays a lack of moderation, let alone their subsequent publication. And the introduction by their translator Eric Karpeles is excellent. What's more, if I compare the page count to the one secondary work that more than any other has influenced not just my appreciation of what distinguishes Proust's achievement from all other novels but of my fascination with writing in general – the 13 pages of Maurice Blanchot's The Experience of Proust – it is immoderately long. So why this instinctive fuss with measuring? Why this concern for physique rather than metaphysique? 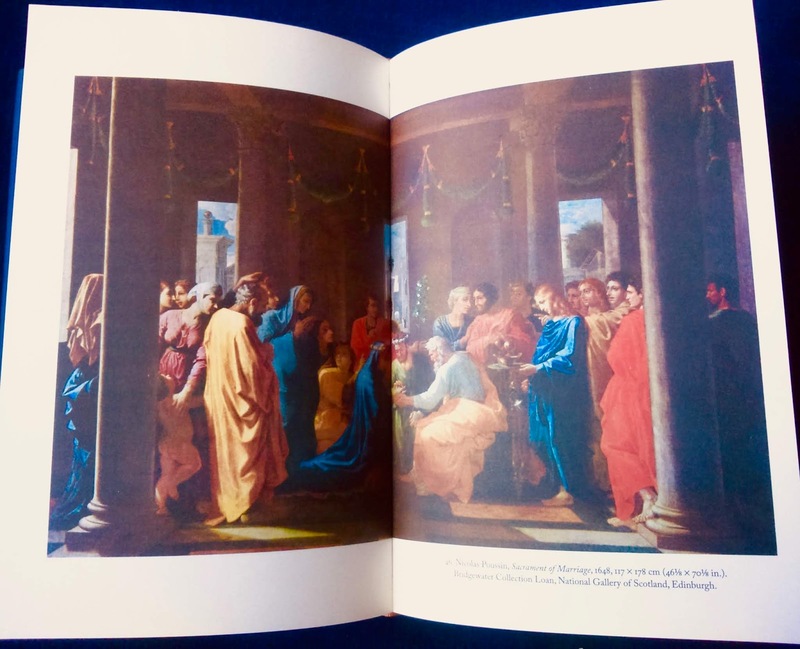 No doubt there is the concern for not being ripped off, but there's also embedded in this the anxiety about what any book amounts to before, during and after it's read, with its physical presence offering the most immediate authority. Once that is over, we seek further organisational information. Last year John Self was perplexed by the appearance of the Penguin Book of the Prose Poem: "What is a prose poem anyway?" he asked. "It’s something and nothing really, isn’t it? Neither use nor ornament." Later, after reading the book, he recanted and accepted the genre is valid. But this raises the age-old issue of labels. 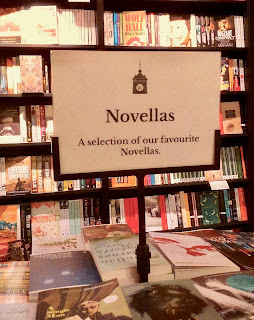 I was in Waterstone's this week and saw this table and its sign (with its inexplicable second leading capital). All of the books below it were as slim as Czapski's, but I wondered how the shop workers decided which books count as novellas and which not. 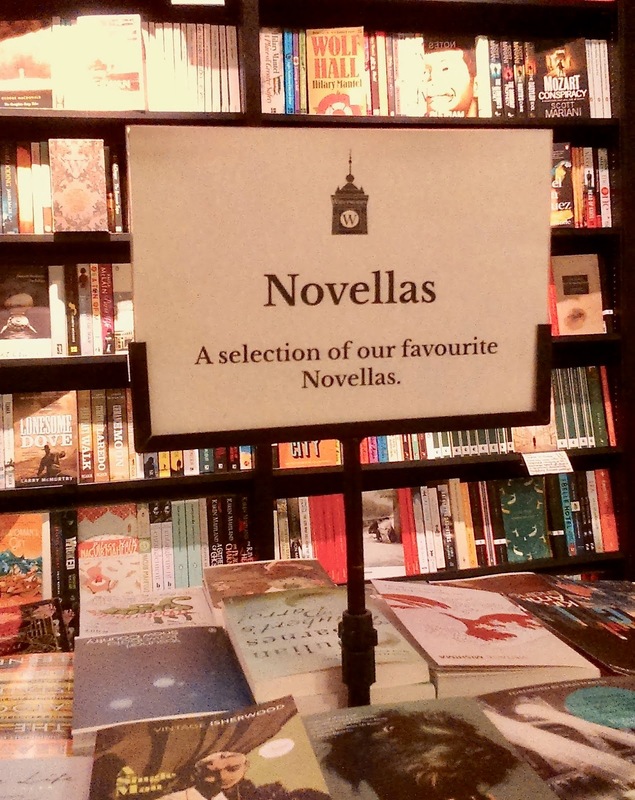 At which point does a novel becomes a novella, and vice versa? It's the old philosophical conundrum raised by Clov in Endgame: "Grain upon grain, one by one, and one day, suddenly, there's a heap, a little heap, the impossible heap." At what page does the book become a novel? The same can be asked of Penguin's book. 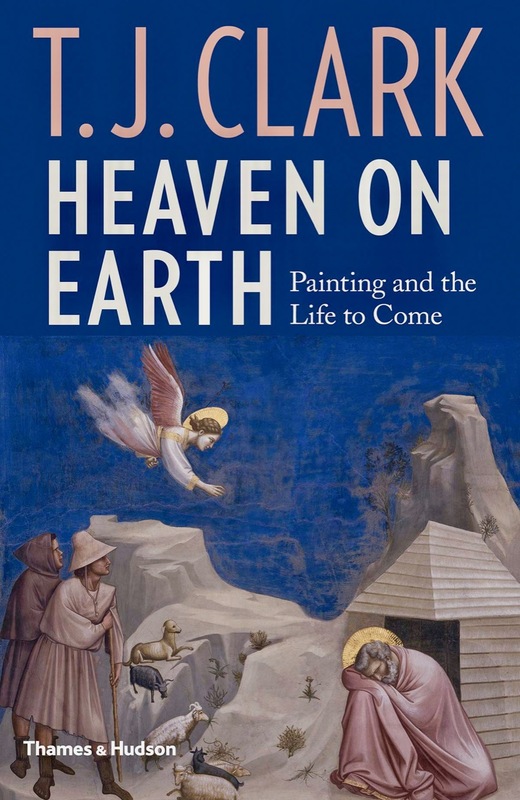 John quotes the introduction's definition of prose poetry, that it "flows by soft return from margin to margin, filling the empty field of the page" and is "unchecked by metre or rhyme", which means it's defined by the technical features of prose. Aren't such genre distinctions a form of confiscating smuggled goods at the border? Once a book has been read, whether it's 90 pages or 900, such distinctions become irrelevant to the reader, as both have the quality of existing as a book, of being itself and not any other book, which then raises the question of what that quality is in itself; what precisely has been smuggled? For many years I've been aware of how the end of a novel detaches itself from the rest, as some kind of token closure to what never closes, or token opening to what never opens. As one nears the end of a book, whether it is page 88 or 888, the weight of pages to come grows so light that a certain inner resignation and leavetaking takes place, and the kernel of the book, its essence as itself, attaches to what has passed; however, in the same awareness, I'm aware that it does not attach itself to the beginning, because the beginning needs to go beyond itself to become the book, and not to the middle either, because the middle exists only because the beginning and the end distinguish it as such. And where does the beginning end and the end begin? Three years ago, I suggested Thomas Bernhard's novel Neufundland, which exists only as a beginning sentence and an end sentence, acts on us as a novel nevertheless because it conjures in the imagination what in other novels is conjured by memory, and the inner resignation or leavetaking not only occurs but is the entirety of the experience of the novel, thereby confronting us with what we might call the Platonic ideal of 'the Book' to which all books appeal, even as they dissemble in doing so. 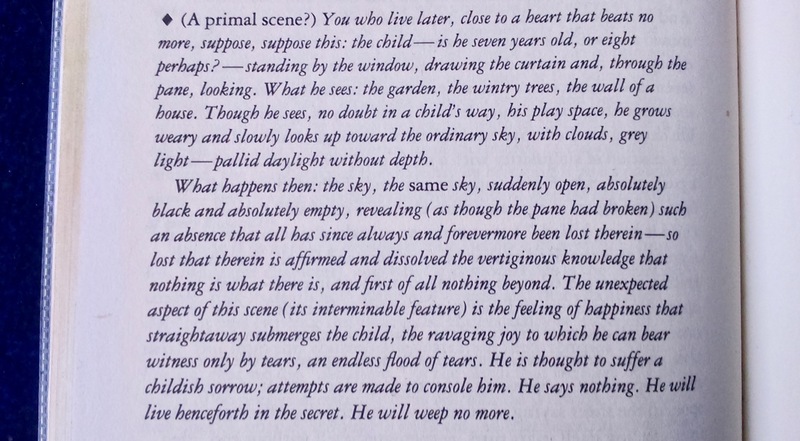 This points to why Proust's novel fascinates me, which has nothing to do its immodest length but because, as Blanchot says, it circles around "the fabulous point where he encounters the event that makes every narrative possible"; a point at the centre of Neufundland despite its extreme brevity. I tried to imagine an alternative to the abrupt ending of the usual novel, in which this fabulous point might make itself felt, and in doing so I remembered the Pernice Brothers' 2003 LP Yours, Mine & Ours, whose final song ends in the normal way except, if one waits through 23 seconds of silence, a part of Water Ban, the LP's second song, a part which is a kind of ghost chorus, reappears as a ghostly refrain fading into infinity, something that has always intrigued me with my being aware of it. I wonder how this effect might transfer to writing. Perhaps this novel, which some have called a novella, is a good example. Today's date means it is thirty years since Thomas Bernhard died. Twenty years ago I wrote a short introduction to his work for Spike Magazine to mark ten years since his death. 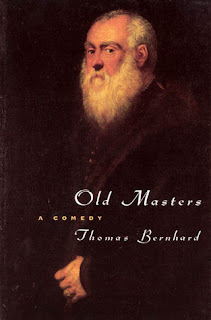 In those days, Bernhard was more or less unknown in English-speaking countries, with subtitled documentaries like the one below unimaginable, and this was the first essay I had written for the new-fangled internet, so should be considered in that light. Below, I list what I've written about Bernhard on This Space, with a few other treats along the way. Last year I was keen to write a longer piece on the consequences for the novel in general of Bernhard's going in the opposite direction, the phrase he uses in The Cellar: An Escape, part three of Gathering Evidence, to describe one of the many wilful or chance actions he took in life and which his novels' characters often take too. I mention this feature in Bernhard begins from 2010. I went in the opposite direction and wrote nothing. In 2011, Bernhard appears in four posts. The first is a long passage from Wittgenstein's Nephew, which demonstrates that Bernhard is not the misanthropic ranter of bookchat legend and instead a writer of breath-giving sentences. In the second, I embedded this short, dark, peaceful film of a drive leading up to one of Bernhard's farmhouses in Upper Austria. 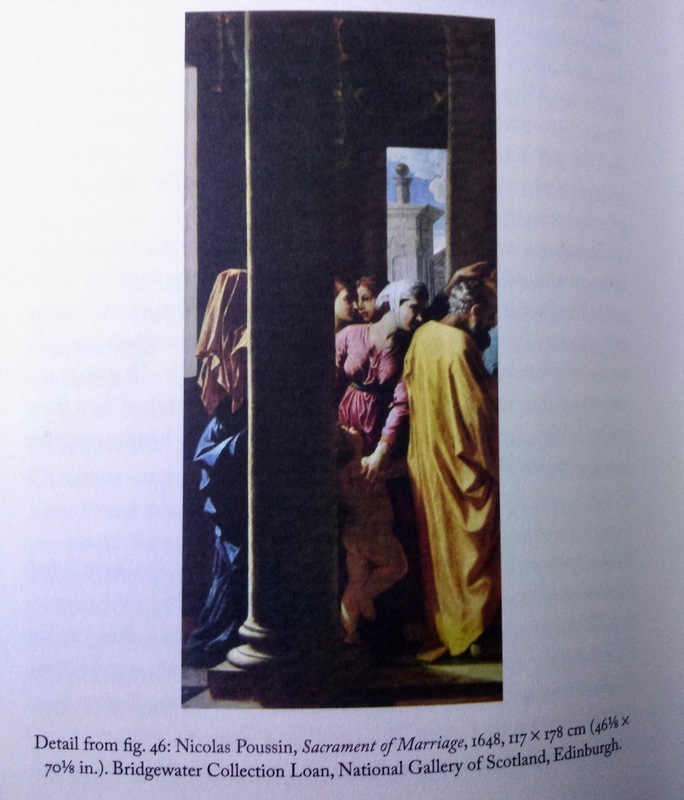 The third is another gift of the internet: I posted an extract from Douglas Robertston's translation of Ungenach, a novella still to be published in English book form. His blog is full of other, otherwise untranslated gifts, such as the short story Midland in Stilfs. The fourth of that year is my review of Seagull Books' impressively excessive production of Bernhard's short story for children Victor Halfwit: A Winter's Tale. Another three years passed before I posted on Bernhard again. This time it was to write about My Prizes, a collection of Bernhard's short essays on the prizes he had won and the speeches he gave. The second sentence of his notorious Austrian State Prize acceptance speech is one of his most famous sayings. Two years later, I wrote Unfoundland about the minimal existence of Bernhard's unfinished novel Neufundland, and then what I think is one the best things I have ever posted on this blog, and certainly the best on Bernhard: a review of the title story of another of Seagull Books' productions, Goethe Dies. Apart from this very post, the most recent was a more general post about writing in which I discuss The Loser, Frost and the film Drei Tage, an extract from which you can see below and whose full text in translation can be read here. 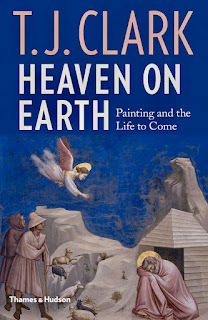 Finally, there are many more links on the English website dedicated to his work and on the official Austrian one, in German. The Indie Book Blog Is Dead says The Vulture, a commerical culturesite I may or may not have seen before – they all look and sound the same – focusing on another commercial culturesite that looks and sounds pretty much the same but one I had definitely seen before though had never considered to be a book blog, which has been sold to another commercial culturesite, signalling, apparently, the end of indie book blogs, a distinguishing phrase that stood out – independent of what, I wondered; any feeling for literature? The article prompted a bemused shrug from Anthony as he celebrated ten years of Time's Flow Stemmed, a brilliant and cutting response from Juliana of The Blank Garden and, most recently, Flowerville's reflections on why she continues to blog after all these years. 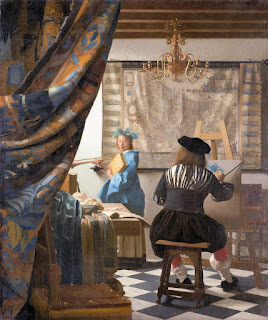 I've written about the form a couple of times in The beginning of something and A blog comes to one in the dark, so I repeat myself now only to observe that such repetition indicates why book blogging maintains itself in a state of precarity: it offers an infinite and apparently meaningless freedom. It is like the novel in this sense and, like a novelist who embraces genre, the blogger can constrain themself by mimicking the culturesites with enthusiasm for new publications, offering consumer reports, prizechat and local agitations about diversity, but the longer one pursues such writing, the more nagging questions or feelings present themselves and demand to be explored. "I understand less than I thought I knew about literature at the time" says Anthony looking back at his first post, echoing my own experience. In the early days especially I was contemptuous of the prevailing literary scene and impatient for it to change direction, until I realised I needed to do that myself. Pursuing questions about the strange familiarity of literature – pursuing one's ignorance! – is not to be found on respectable platforms, so no wonder The Vulture chooses to mention only those bloggers who have moved on, as if blogging is only an unpaid internship on more familiar career path; profitability is the guiding light. Meanwhile, the book blogger looks into the night sky to find a billion guiding lights engulfed in darkness. Lately, I've been reading for the third time in thirty years VS Naipaul's novel The Enigma of Arrival and learning, perhaps for the first time, the lesson Naipaul learns himself: that a writer's true subject is often hidden in plain sight and takes a certain amount of luck or misfortune to recognise (a lesson curiously similar to Proust's, a very different writer). Naipaul's recognition came in middle age when he rented a cottage on a manor estate near Stonehenge to recover from years of travel journalism. What at first seemed like bucolic peace in ancient and eternal landscape peopled by succeeding generations of the same families, turned out to be as precarious as the one he'd left behind: the farm workers he gets to know as neighbours lose their jobs, their marriages, their homes, their lives, and the landscape changes according to the demands of the farming economy. The manor itself, a symbol of empire and class hierarchy, loses its aura of permanence and authority. It leads him to reflect on his own beginnings, coming to England from Trinidad as an 18-year-old with ambitions to be a writer in the home of the authors he grew up admiring, but failing to write about the chaos of postwar London, in particular his fellow transients in the austere lodging house in which he lived, in favour of the elevated subjects he believed necessary to a literary career. It's an exceptionally moving and disconcerting book, not least because it is a deeply felt essay on his own life and work rather than what it asserts on the cover. Perhaps Naipaul needed to call it a novel to protect himself from the misfortune of the discovery that his true subject was not other people, countries and cultures but the search for his own true subject. In the surprise and discomfort of this discovery, the novel maintains itself in a state of precarity, and explains why in Sir Vidia's Shadow Paul Theroux is entirely correct in wrongly declaring The Enigma of Arrival to be the novel that marks the end of Naipaul's career as an important novelist ("a ponderous agglomeration of the dullest rural incidents") as it goes against the generic grain. If this is the case, the same could be said for Theroux's My Secret History, which stands as his own best novel, and why subsequent, ostensibly similar novels like Naipaul's A Way in the World and Theroux's My Other Life are so disappointing. 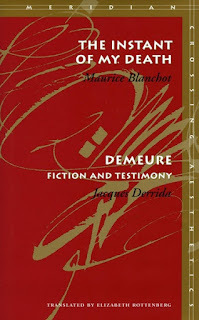 My own luck or misfortune has been to discover that I am intellectually not up to exploring the questions that have presented themselves to me, so I am happily stuck with the amateur hobbyism of blogging about extraordinary books like The Imperative to Write and the profoundly irrationalist literary apocalypse of Maurice Blanchot. But then I wonder how much it has to do with intellect than with luck or misfortune. A book must be the axe for the frozen sea inside us, says Kafka in the famous letter. I wondered what this might mean as the 'books of the year' lists began to appear last month. Imagine if each contributor constrained themselves to choose only axe-books. Each entry would likely remain blank and the value of what did appear would be extreme compared to the predictable logrolling we see each year. Or maybe they would be exactly the same, as the idea of such a book is so vague that it could include everything from everyday escapist relief to a silent version of Freud's talking cure. We ought to read only the kind of books that wound and stab us. We need the books that affect us like a disaster. We need books that grieve us deeply, like the death of someone we loved more than ourselves, like being banished into forests far from everyone, like a suicide. You can see why these words haven't become as popular. Yet as easily as such teenage-goth hyperbole is dismissed, the words do stir something beneath surface cynicism, which may be as slight as disappointment with everyday escapist relief, with Kafka's grim enthusiasm maintaining the promise of a future book that will allow us to bear the heaviest burdens without the lingering trauma, even if in doing so they retain the formula of disappointment: words that carry no weight. 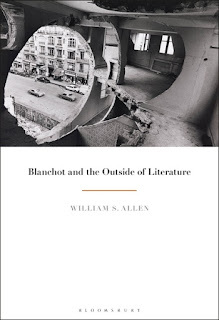 My year of reading ended with four new books by or related to Maurice Blanchot, with one experienced with this kind of disappointment. 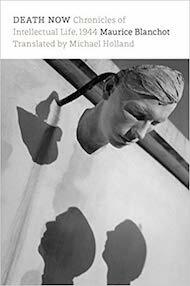 I had been waiting twenty years for Christophe Bident's biography to be translated, as it promised a measure of the distance between Blanchot's life and his writing (what he discovered in writing). Several hundred pages later, the words Bident used to discuss key ideas and concepts became so light they floated free of any context that held any meaning for me: the absolute, the neuter, the unsayable, the avowable, the unavowable, the infinite, the impossible, the infinitely impossible. There is very little biographical detail, certainly not the trivia one might expect of the genre; his acquaintance with Brigitte Bardot as reported in L'Herne or the rumour that he learned Danish to read Kierkegaard in the original are not mentioned. 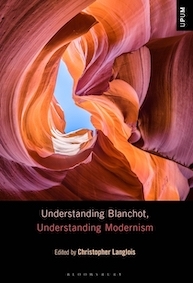 As the book is a study of the work organised chronologically and written during Blanchot's lifetime, this is fair enough and mine is only an expression of disappointment and intellectual stupefaction. In reading hundreds of pages of commentary and analysis, I was reminded of Saul Bellow's narrator of Ravelstein who, when charged to read a philosophical article, felt like an ant who sets out to cross the Andes. Except, I was on the other side. 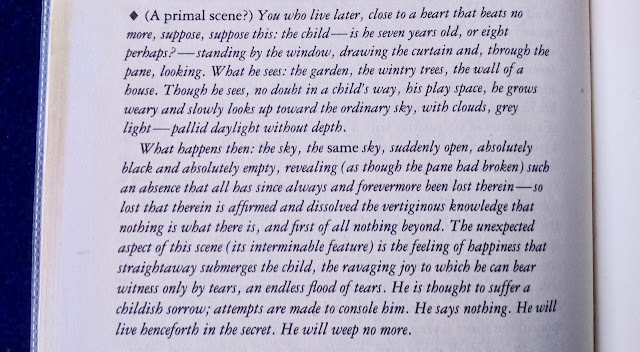 If the tears are evidence of an unfrozen sea, they are also evidence of disaster, grief and banishment, and so an experience much closer to Kafka's demands. And even if he is reading the sky and not a book, what happens then has the same ambiguous properties of reading, amplified here into a variety of religious experience; an experience that is repeated thirty years later. The Instant of My Death describes how in the summer of 1944 a Nazi lieutenant ordered Blanchot out of the same house, perhaps to the same garden, to face a firing squad. As he awaits the order to fire, Blanchot writes that he experienced "a feeling of extraordinary lightness, a sort of beatitude (nothing happy, however)". Distracted by noise of fighting, the lieutenant leaves the scene and the firing squad tells Blanchot to nip off. 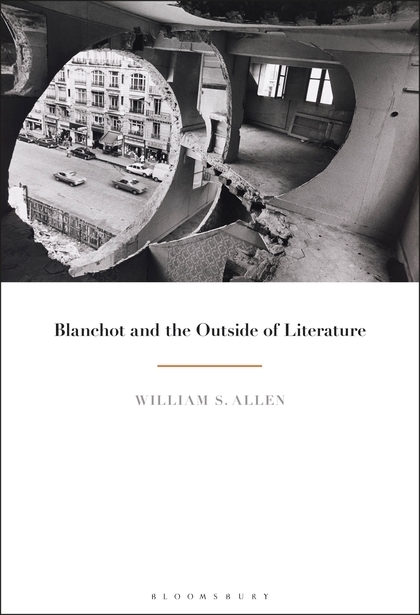 Fifty years later, Blanchot speculates that what he felt was perhaps ecstacy, defined by the OED as "the state of being ‘beside oneself’ in ... anxiety, astonishment, fear, or passion" or "the withdrawal of the soul from the body [in a] mystic trance". 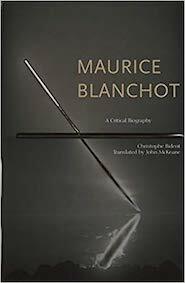 But then Blanchot says it was rather the feeling "compassion for suffering humanity, the happiness of not being immortal or eternal", notable for being the opposite of the familiar literary pursuit of living forever. There is so much to say about such passages that Derrida has written a book on the latter, emphasising there what concerns me here: that both experiences are also non-experiences. 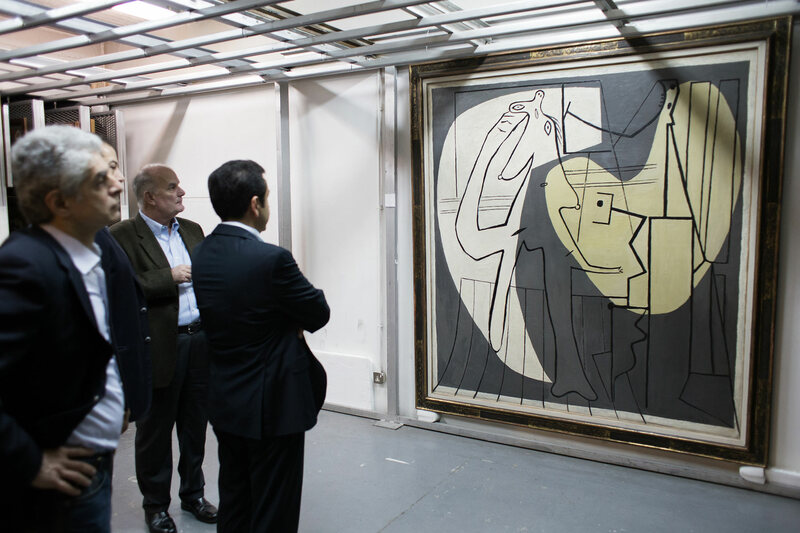 The content of each is an exposure to that which is not there or that which didn't occur. Both correspond to the experience of reading and both are essentially literary experiences, with all the features of reading stories and the prejudices they encounter. 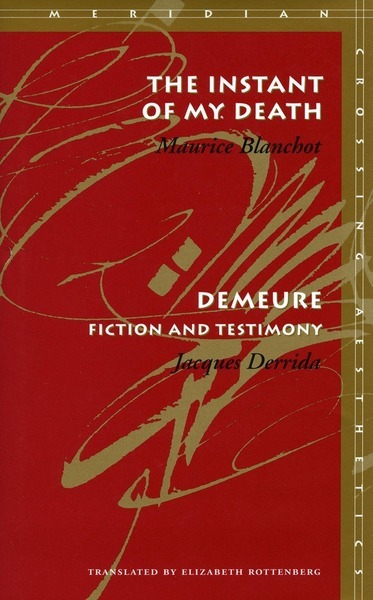 Derrida argues that fiction haunts the project to be truthful in testimony and "is perhaps the passion of literature" – the Christian sense included: a suffering unto death in which death is not an end. In reading we are "close to a heart that beats no more": the instant of death has become literature, opening the mysterious distance necessary to itself and the peculiar value we place in it, as witnessed in the power of Kafka's letter. The disaster is not an event. 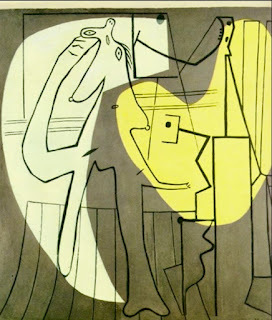 It does not take place in the order of things that happen but is discovered as that which has taken place, as the experience of this utter lack of grounds for meaning, the lack of any transcendental unity or order, an experience that language conveys but that is not limited to language, which is its other, mortal side. An experience of the transcendental and mortal sides combined might be the best way to define axe-books. It is not necessarily a pessimistic definition. What Kafka's writing gives is a glimpse of light, even if is the light of a baleful star, and thereby the possibility of communication in the darkness. Either instant on its own is not enough (perhaps Bident's string of key words became weightless for me because they were drained of their mortal side). I have no axe-books for this year. Like Marcel's miraculous, timeless instants, they appear very rarely, if at all, always unexpected, and easily confused with narrative excitements. The closest for me was two years ago. I have often recognised since that this post was the culmination of what I had to say here (by coincidence, 'culmination' also has its root in the stars). And yet I continue. Why? Thirteen years after his famous letter, Kafka characterised his ability to write as "a merciful surplus of strength at a moment when suffering has raked me to the bottom of my being". The question he asks in the next sentence remains outstanding: "But then what kind of surplus is it?"